The release of Weep Not by I Grade Records punctuates a year in which the conscious roots music of St. Croix emerged as a prominent force in reggae music. No less than 6 "cruz"cial albums were released in 2002: Assini, Culturellinnium II, Seek Knowledge Before Vengeance, Talkin' Roots, The Cipheraw, and now Weep Not. When it comes to solid roots music, Midnite soars to levels that are unprecedented in reggae music. 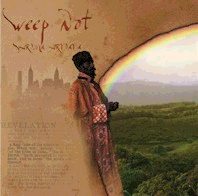 And Weep Not does not disappoint, with 5 selection that feature the mystic voice of Midnite's Vaughn Benjamin. Vaughn's unmistakable voice is also lent to Willmore Daniel's crucial 'Warning'. Weep Not includes 3 other excellent songs by artists that are new to this listener - Abja's 'Crucial Confession', Abadan's 'Sustain I' and the Mash selection 'Joy'. 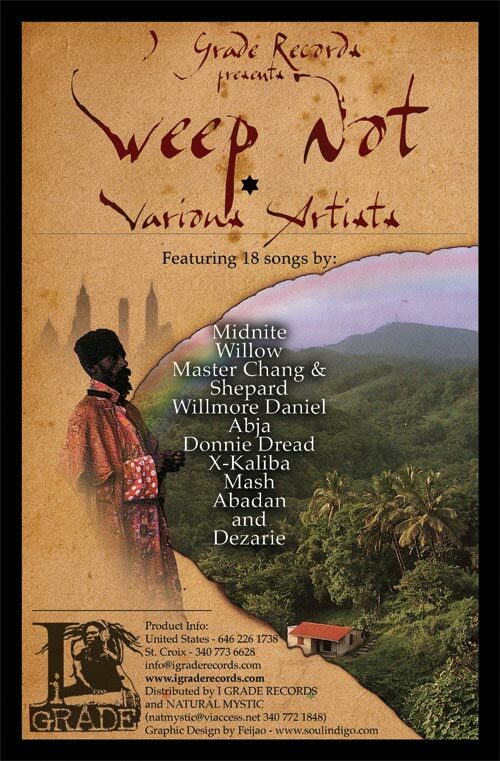 Weep Not is unique in that it features conscious lyrics over diverse riddims ranging from dancehall sound of 'Manage' to the R&B flavored 'Step Inna Right' to the nyahbinghi style of 'Chant A Psalm'. And Weep Not culminates with the incredible voice of Dezarie giving thanx and praise unto the most high on 'Hosanna Jah'. Her debut album FYA, released by I Grade Records late last fall, rates as one of the year's best. And be on the lookout for the release of Dezarie's new album 'Gracious Mother Africa' which should be out any day now.